Climate change is a reality, and the depletion of a whole range of fundamental ecosystems and resources of our planet is staring us right in the face. Along with rising global health problems related to pollution and diet, how is it that so many of the principal culprits of this increasingly dire situation remain so prominent, accessible and affordable to a still growing world population? And who is bearing the brunt of these consequences? The topics discussed in this article each deserve their own thorough treatment, and will be individually analyzed in more detail in future articles. The purpose now, however, is to establish a coherent perspective that many of the commodities, comforts and seemingly basic necessities of modern life in industrialized countries drastically overlook the true costs that they inflict to the environment and social structure, locally and globally. This can and should be considered at least a significant limitation of a “Free Market” and unregulated global economic system, if not an outright failure, given the degradation of our planet and individual well-beings. The name for these external costs that are not taken into account in the market price of products are “externalities.” There do exist positive externalities in the world market with the potential for many more. One good example of positive externalities are those related to renewable energy resources that decrease emissions and increase air quality and public health. Another is the setting up of an extensive network of electric vehicle charging points, which would benefit society as a whole as the infrastructure expanded. The focus here, however, will be on large Negative Externalities that are ignored in the initial and final costs of harmful products and services, and that exact tremendous costs on populations that often had little or nothing to do with the production or consumption that caused the problem. Climate Change itself is the pinnacle of Negative Externalities, as it is global and affects every living thing and living system. Greenhouse gas emissions, especially of Carbon Dioxide, but also of Methane, Ozone, Nitrous Oxide and Sulfates, are emitted as a consequence of activities that help to mobilize, energize, feed and comfort the world. These emissions have resulted in pervasive impacts on the global climate that are already having costly effects for humans and natural ecosystems. This trend is due to only worsen. Carbon dioxide can linger in the atmosphere for centuries, global emissions are still increasing, and the potential of natural carbon sequestration, especially from protecting and replanting forests, is still greatly overlooked. Combine these facts with the existence of several positive feedback loops that accompany climate change and warming temperatures, such as the lowering of the earth’s albedo (melting ice lowers the Earth’s reflectivity and more heat is absorbed by the oceans, creating more warming), and increased presence of heat-trapping water vapor in the atmosphere with higher atmospheric temperatures (leading to higher atmospheric temperatures and more water vapor), and things do not look particularly promising for the future. Corporations involved in the mining, drilling, fracking, transporting, distributing, energy producing and eventual selling of fossil fuel products and utilities derived from Coal, Oil and Natural gas, are some of the biggest culprits of climate change. Manufacturers of products like cars and air conditioners that require extensive use of these fossil fuel resources are also culpable, for not being more efficient and not promoting the advancement of cleaner technologies and fuel sources. Industrial agriculture and livestock corporations, and the producers, distributors and retailers that they supply, who pollute the air and water and cut down forests to clear land, are also major contributors. Countless other sectors, from timber to cement making to the growing Palm Oil industry that supplies subsidized biodiesel in the European Union, and is an ingredient in the majority of industrial consumer products, also contribute to environmental degradation and climate change. But ultimately the responsibility falls on the consumer. You and I as consumers make the choices to buy these products, demanding low prices that do not reflect the ultimate price that the entire world is paying for our consumption choices. The producers are driven by only profit, not factoring in the external costs associated with their activities. This inherent reality of a free-market system cannot be expected to change without awareness and pressure from consumers, and the implementation of policy to factor in these costs from our elected (and unelected) leaders and representatives. In a developed country like the United States, for now at least, most people and industries are capable of dealing with these climate changes. Consumers can afford to pay a bit more on the electricity bills for increased use of air conditioning due to record high temperatures (increasing by approximately $12 billion annually according to Brookings institute). Or property owners can pay for insuring or fixing tens of billions of dollars of coastal property damage due to rising sea levels and intensification of storms and storm surges. Developed world Industrial fishing fleets can afford to go farther and wider to catch dwindling seafood populations. On the contrary, the developing world, which as a whole bears the least responsibility for climate change, has much less capacity to deal with these problems in the present. From increasing atmospheric temperatures to sea level rise from melting ice sheets, glaciers and higher ocean temperatures, to drought and desertification, to floods and extreme weather events such as more intense hurricanes, to ocean acidification, coral bleaching and loss of biodiversity, the costs are enormous and threaten to undermine the already fragile financial and social stabilities of these developing nations. Put another way, in reference to climate change, the people responsible for these negative externalities do not pay a cost, or pay a minimal and manageable cost. This while future generations and people in the developing world now must pay the costs of the irresponsible indiscretions of the governments, corporations, and citizens of relatively wealthy countries over the past several decades. This is why highly influential British economist Nicholas Stern in his 2006 report the “Stern Review on the Economics of Climate Change” stated that Climate Change is the “greatest example of market failure we have ever seen,” and in 2013 Stern admitted that his initial report had “underestimated the risks” of climate change. Stern was referring undoubtedly to the existence of previously unconsidered or underestimated positive feedback loops, such as rapid collapse of ice sheets, and release of methane hydrates from permafrost and the ocean sediment of continental shelves, that could rapidly increase warming and sea level rise, as well as the overestimation of the ability of the world’s oceans and existing forests to capture and absorb excess carbon from the atmosphere. It must be mentioned that this trend of the vast majority of greenhouse gas emissions coming from developed industrialized nations is now shifting (at least if the recent ignorant rhetoric since 2016 in the United States is not embraced). Emissions in the developed world have shown some signs of leveling off with implementation of efficiency measures in sectors like transportation and home appliances, and some investments in renewable energies, while emissions from the developing world have been rising rapidly. This is not to say that the limited positive changes in the developed world have been nearly thorough or fast enough to combat or even mitigate the problems and possible future calamities associated with climate change. Coal is still the primary base-load power source in many developed countries, used over third and fourth generation nuclear power plants (which include fast-breeder and thorium reactors) and expanded renewable energy sources that have become much more cost-efficient in the past few years. In addition, the insatiable consumption of many products that often degrade the environments and resources of countries who harvest the primary ingredients, continues mostly unabated. Consumer products and processed foods made from palm oil and soy beans, both major contributors to deforestation in Indonesia, Malaysia and countries of the vast Amazon rainforest such as Brazil and Colombia, are clear examples of Global consumer demand causing major destruction at the source. But some trends seem to at least be going in the right direction in the developed world, in no small part due to the increasingly more aware and conscious younger generations of consumers in these countries, who are coming to the realization that it is their futures at stake. China, on the other hand, is now the world’s biggest greenhouse gas emitter (though they too are making some noticeable efforts through renewable and nuclear power investments along with prices on carbon emissions to curtail the impact of their growing energy demands, but the scale of pollution coming out of China is still staggering), and India is a looming and growing presence. Many other countries fighting their way out of poverty are also naturally and understandably increasing consumption and demand for energy. Still other countries become major contributors to climate change because they fulfill the consumption demands of more developed countries. In the case of Indonesia, for example, both localized and globalized negative externalities result due to mass scale “slash and burn” practices of forests on rich carbon peat-lands, to make way for oil palm monocultures and mining. Proposed solutions to the climate change problems caused by emissions, as well as more localized problems related to air pollution, usually involve some form of “carbon tax” or “emissions trading.” These are most often proposed as the “market-based solutions” of “cap and trade” or “Offsets,” which is seen by many scientists and economists as limiting and ineffectual. Flat and escalating taxes on carbon from the source or port-of-entry, with the money generated then redistributed to society in some fashion, is known as the “fee and dividend” approach. Fee and dividend, by most reasonable and impartial accounts, has the best chance of having the desired results, but is seen by many in positions of implementing policy as impractical, or at least against certain special interests. Either way, these options are meant to account for the negative externalities associated with fossil fuel emissions, principally from coal, oil and natural gas, making cleaner options more competitive, and in the case of fee and dividend, giving individuals the incentive to consume less. In addition, or alternatively, subsidies can be given to the development of low-carbon technologies to foster innovation in that sector. There are also options available for limiting deforestation, financially rewarding those countries and regional jurisdictions who demonstrate an ability to protect their forests, which helps to both limit emissions and naturally capture and sequester carbon from the atmosphere through the process of photosynthesis. These financial rewards are too often proposed as the “offsets” mentioned above, meaning corporations or nations would essentially buy the right to continue polluting by supporting forestry conservation or simply by planting trees in developing nations. It does not need to function this way: forests are a common resource that the global populace should work to conserve through incentives and regulation. Protection of land rights, especially for Indigenous peoples, is critical to this last point, as are firm pledges from corporations to remove deforestation practices from their supply chains. Brazil has had some success in this arena over the past decade, reducing their deforestation rates, but overall deforestation remains a tremendous problem. Deforestation exacerbates climate change, loss of biodiversity, and the destruction and displacement of traditional cultures along with the knowledge they possess of medicinal plants and the unique biodiversity within these rich ecosystems. Allowing the regrowth of mature forests also offers a little-discussed natural mitigation strategy for climate change, as growing forests help to capture and sequester atmospheric carbon in their increasing biomass. A child living near a coal power plant suffering neurological damage from methyl mercury poisoning; the associated decrease in future quality of life and the higher healthcare costs, are negative externalities. These costs to that child and their family have no effect on production costs of the long destructive supply chain from coal mining to transport to setting it on fire to generate energy to disposing of the waste, or the consumption costs for the end buyer of the electricity generated by this antiquated and dirty energy source. The runoff of herbicides and pesticides from large industrial farms into local waterways, polluting the water and soil for small farmers and communities downstream, and eventually cumulatively flowing into the ocean, fostering algae growth and oxygen depletion which creates dead zones and the subsequent destruction of biodiversity, fishing and tourism industries; these are all examples of negative externalities that have no impact on the production or consumption costs of the agricultural products sold. 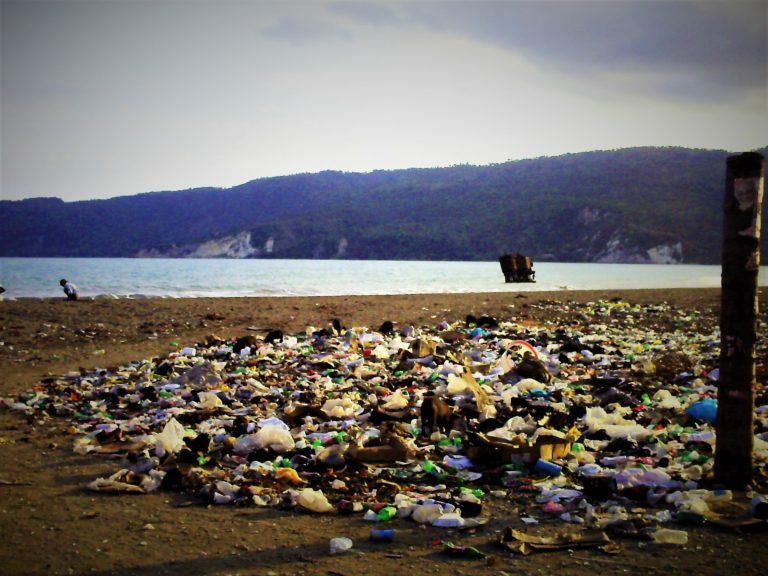 Plastics that make their way into oceans and kill both marine life and birds that feed on marine life, and also bioaccumulate up the food chain once broken apart into microplastics. These impacts are ignored in the negligible costs that one-time-use plastics have in the global market. Any kind of fossil fuel burning and the inevitable air pollution and its varied consequences. One notable example is acid rain, which destroyed many trees and crops and has thankfully mostly been controlled now in the United States with decreased sulfate emissions from coal power plants (a controversial “success story” of the cap and trade approach). Nonetheless, many other forms of air pollution from burning fossil fuels still occur that have significant negative impacts on human health, wildlife, crops and forests. Inexpensive prices for products that have traveled thousands of miles versus locally produced products, in part due to aviation fuels being untaxed, and inexpensive gasoline prices fostering the continued and extensive use of combustion engine vehicles and their subsequent emissions, are two more examples of fossil fuel products whose market prices do not reflect their true costs. Perhaps a more easily illustratable concept, second hand “passive” smoking and the associated discomforts and health problems that can result are examples of negative externalities that are being effectively addressed now in the United States, by high taxes on cigarettes and laws preventing smoking in public spaces. Norway, New Zealand, Ireland, Uruguay, and several other nations, have also put in place strong bans against indoor smoking, with many more working on policy to follow suit. Unfortunately most countries, especially but not exclusively, in the developing world, fail to acknowledge through policy the unintended consequences for innocent bystanders of cigarette smoking. The negative externalities associated with livestock are extensive, caused by excessive water use and pollution, deforestation, soil erosion, methane emissions, and many other forms of pollution and degradation that have unaccounted for consequences for the local and global environment. Add to this the human health care, quality of life, productivity and premature death costs from diseases and conditions linked to processed and industrialized meat consumption (and possibly other animal products), such as cancer, obesity, diabetes and heart disease, not to mention antibiotic resistant pathogens that develop in livestock, and you have an example of unregulated products that are not entering the marketplace showing their true costs. Overfishing is another example, where biodiversity and ecosystem destruction is the result and is not factored into the production or consumption costs, at least for now as there are still enough fish to meet global demand. The arguments for and against conscientious lifestyle choices such as veganism, as well as buying pastured livestock, locally grown produce, and more, especially in an industrialized country like the United States, deserves further attention. For the time being though, the point to make is that meat, especially beef, along with fish, pigs, milk and many other animal products and the tremendous amount of subsidized monocropping done to feed them, is far too cheap and does not reflect the costs exacted on the environment. Nor does it factor in the less easily calculable (it is often difficult to establish exact cause and effect for specific disease occurrences since many factors are at play, including lifestyle choices and genetics, even though the connection clearly exists) costs exacted on human health from the consumption of mass quantities of processed and industrialized meat, as well as refined and processed crops with minimal nutritional value like refined corn, soy, wheat, sugar, rice and potatoes. It’s a totally unsustainable practice as is, and something will have to happen to change the trend, such as a tax on meat and dairy, removing of subsidies for crops like corn and soy, or taxes on refined “junk food” products derived from their processed forms and on biofuels that come from corn. Additionally there can be subsidies for locally produced healthful foods and the farmers that grow them in polycultures (diversified) to make them more competitive in the marketplace and available for wider consumption. Greenstone, Michael. “Paying the Cost of Climate Change.” Brookings Institute. September 2014. Hansen, James. Karecha, Pushkar, et al.. ,“Assessing ‘‘Dangerous Climate Change’’: Required Reduction of Carbon Emissions to Protect Young People, Future Generations and Nature.” PLOS ONE. December 2013. Heather Stewart, Larry Elliott. “Nicholas Stern: ‘I got it wrong on climate change – it’s far, far worse”. The Guardian. January 2013. Helbling, Thomas. Externalities: Prices Do Not Capture All Costs. International Monetary Fund. 2017. Stern, Nicholas. “Stern Review on the Economics of Climate Change.” October 2006.